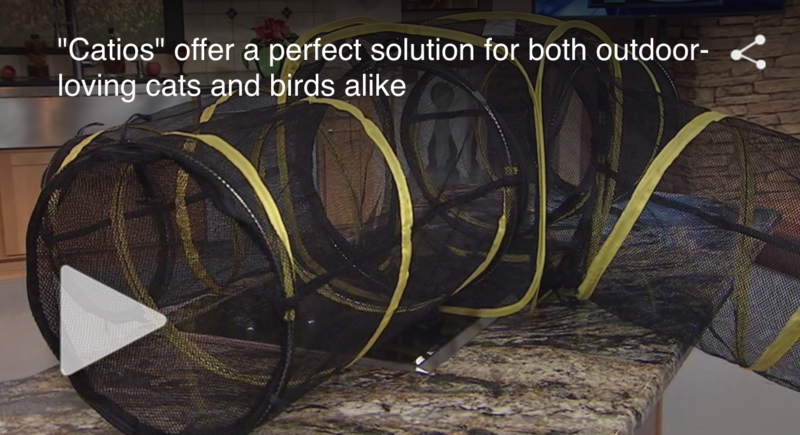 The Central New Mexico Audubon Society recently launched the “Cats Indoors Campaign” focused on teaching people how to give their cat a safe outdoor experience while protecting wildlife. The outdoors is a dangerous place for cats due to cars, coyotes and more. Also, their hunting behavior presents a danger to birds and other wildlife. For many cat-owners, the best option to consider is a catio, or cat enclosure. Many styles of catios can be found on the internet, from ready to assemble to many great do-it- yourself designs, which can be installed against a house so the cat can come and go via a window or pet door. Catios are truly a win-win scenario for cats and wildlife.